Win or lose, you'll get additional points to further improve and come back for more! Monsters Destroy All Cities is a war game, but one where everyone pitches in to create an exciting shared universe complete with aliens, mutants, and brave fighting robots. 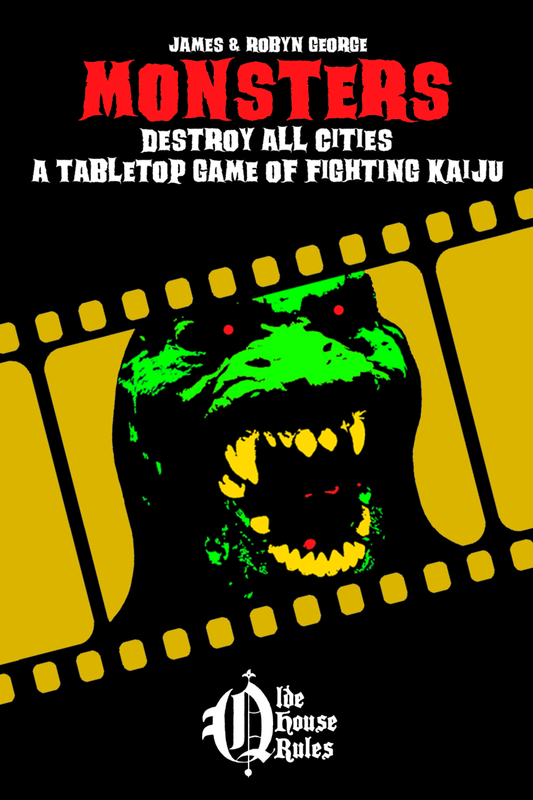 So fire up the DVD player, catch your favorite films, and then hit the gaming table to live the genre with dice, dioramas, and miniature figures - because monsters really do destroy all cities!